The Shoe Surgeon, the king of opulent kicks, recently took the opportunity to drop a Friends & Family”-only Air Jordan 1 “Canary” inspired by the recent Diamond Supply Co. Dunk Low of the same name. 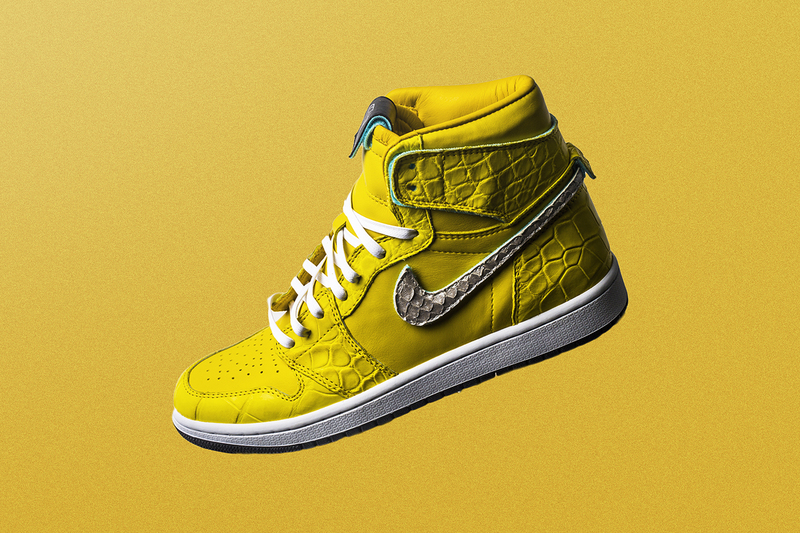 This Air Jordan boasts the customizer’s usual attention to detail, with premium features including yellow gator and smooth leather on the upper, Japanese plonge leather lining and the pièce de résistance: removable Tiffany-hued leather Swooshes. A Diamond-inspired tongue tag completes the bespoke shoes. Most recently, The Shoe Surgeon launched a Black Friday sample & archive sale. Friends & fam exclusive “Canary” colorway. Only a few pairs left of the Black Diamond AJ1. Link in bio to purchase before they sell out. Outpacing the Wii’s previous holiday performances. Play the timeless game in style.